I was hesitant about this book because of the whole princess theme. We seem to get over run with princess stuff, but this book really surprised me. 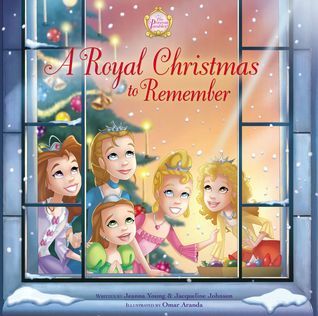 There are spoiled little princesses but then something happens and their Christmas plans are ruined. Because of the seriousness of what has happened their hearts are changed and they realize what Christmas is all about, and no that is not the gifts and biggest tree. I think this would make a great little girl gift, and it should be read and talked about so they understand what Christmas really is all about. Thanks to BookLook Bloggers for the copy of this book. All opinions are my own.